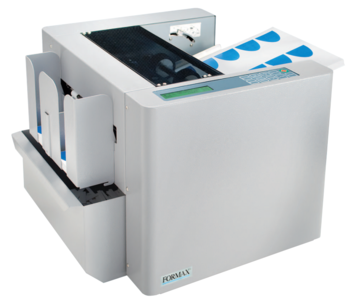 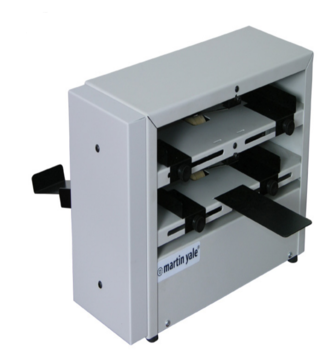 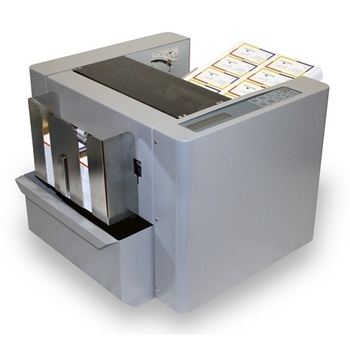 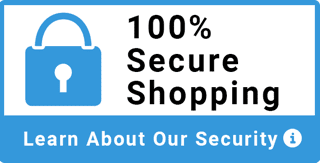 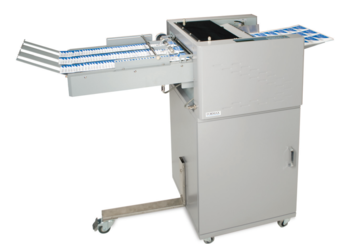 Commercial card cutters for small and large print shops. 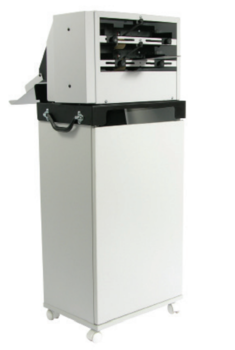 Semi-Self sharpening cutting blades can cut stacks up to 5/8" thick and allows for continuous feeding. 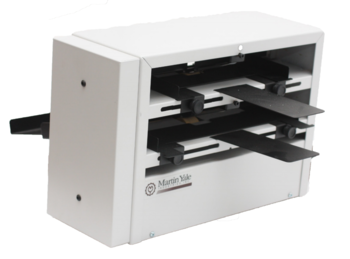 Self-sharpening cutting blades can cut stacks up to 5/8" thick and allows for continuous feeding. 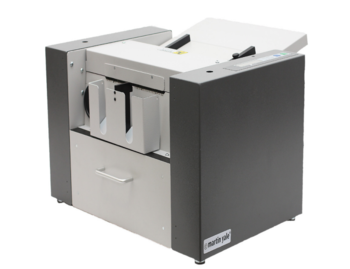 Semi-self sharpening blades are capable of cutting and perforating up to 4,200 inserts per hour. 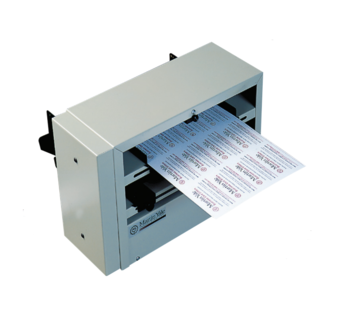 High-speed mid-volume business card cutter.